With 898,425 vehicles delivered to customers in the first six months of 2015 (+14.7%), Mercedes-Benz recorded the highest half-year sales figures in the company’s history. The second quarter of the year also exceeded all previous quarters in terms of sales figures. In June, the brand with the star handed over 169,616 vehicles to customers (+19.3%). The sales success is due to the high demand for SUVs and the C-Class Saloon and Estate. In Europe, the brand with the star set new sales records both for June and for the first half of the year. In the first six months of 2015, sales rose by 11.2% to 392,528 units. Strong growth was recorded in Germany, where sales increased to 26,800 units in June (+16.5%). 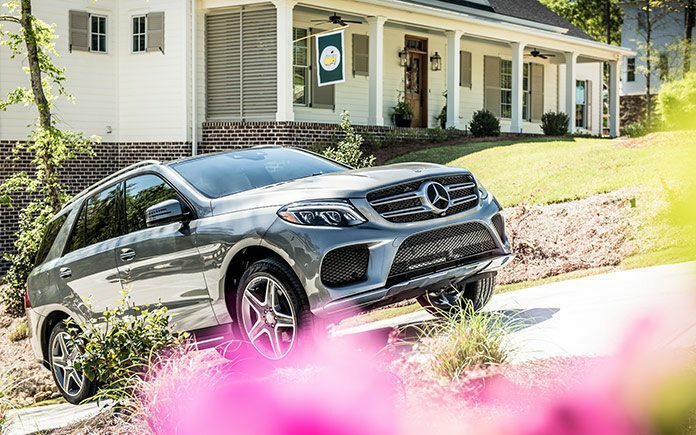 Thus, Mercedes-Benz remained the leading premium manufacturer in its home market. New sales records were set in Great Britain and Portugal in and per June. Growth was very strong in Spain, where sales increased by 30% since the beginning of the year. Demand for vehicles with the star remained high in the NAFTA region: 189,375 customers in the USA, Canada, and Mexico opted for a Mercedes-Benz in the first half of the year (+10.1%). New sales records were set in all three countries. In the USA, 164,970 customers were happy to receive their new vehicle in the first six months of 2015 (+8.8%). In June, a sales increase of 5.8% to 28,044 units was achieved in the USA. The Asia-Pacific region benefited from very strong sales growth in China, Japan, and South Korea in June. All in all, sales increased by 37.3% to 54,778 units in this region. With 38.5%, growth in China was even higher (32,507 units). Unit sales rose by 53.5% in Japan and by 33.8% in South Korea. New sales records were set in China, Japan, South Korea, and Australia for both the first half of the year and for the month of June. In Japan, Mercedes-Benz remained the market leader among the premium importers. The same applies to Australia, where the best sales month ever was achieved in June. In June, a total of 54,379 customers opted for a compact model of the A-Class, B-Class, CLA, CLA Shooting Brake or GLA (+29.8%). In the first half of 2015, the brand with the star sold approximately 25% more compact cars than during the first six months of the previous year (269,527 units). Similar growth (+25.5%) and a new sales record were achieved by the CLA. The CLA Shooting Brake also enjoyed great popularity in the first months after its market launch. The C-Class Saloon and Estate keep setting one record after another this year: Sales increased by 58.7% to 214,222 units since the beginning of the year. In China, sales of C-Class Saloon doubled during the same period. A few months ago, Mercedes-Benz started the local production of the normal-wheelbase C-Class Saloon in China in addition to the long-wheelbase version. In the USA, the C-Class Saloon also set a new sales record in the first half of the year. With more than 13 million E-Class Saloons and Estates delivered to customers, the E-Class is the best-selling vehicle in the history of Mercedes-Benz. The E-Class Saloon set a new sales record in the first half of the year in China, which is the biggest sales market of the model. A new record was also achieved by the S-Class Saloon per June. With 51,560 units sold, the S-Class remains the world’s best-selling luxury saloon. In the SUV segment, Mercedes-Benz not only celebrated the world premiere of the new GLC last month, but also a new sales record (+17.3%). During the first half of the year, sales of the GLA, the GLK, the M-Class, the GL and the G-Class increased by 25% to 232,406 units. The G-Class — the prime father of all Mercedes-Benz SUVs — set a new sales record in the first six months of the year (+27.6%). The success story of the smart fortwo and smart forfour continued unabated in June. A total of 11,329 customers around the world opted for the city runabout in the past month which marks an increase of 54.5%. In Germany, smart sales were nearly twice as high last month as they were in June 2014.